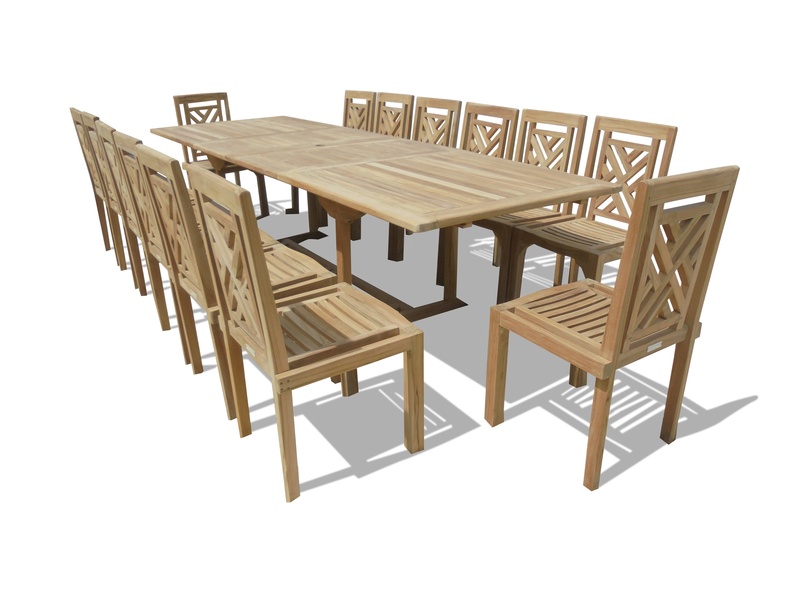 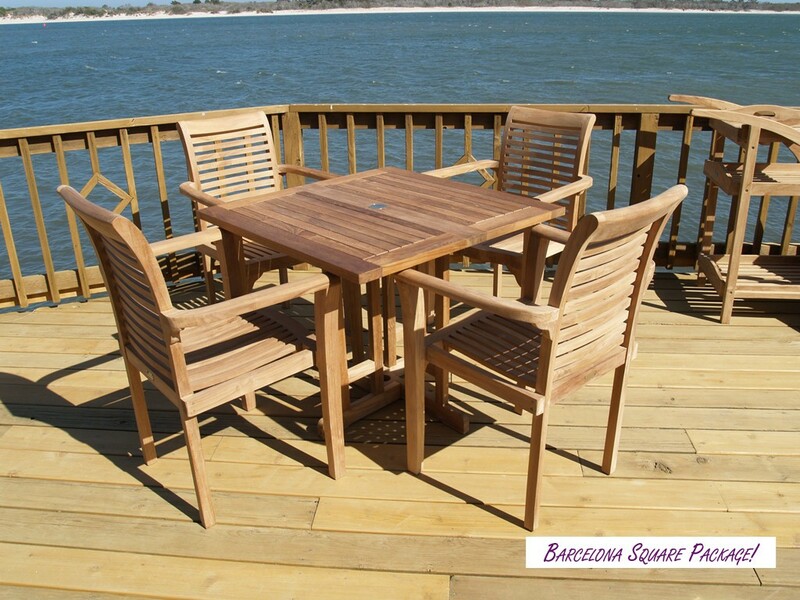 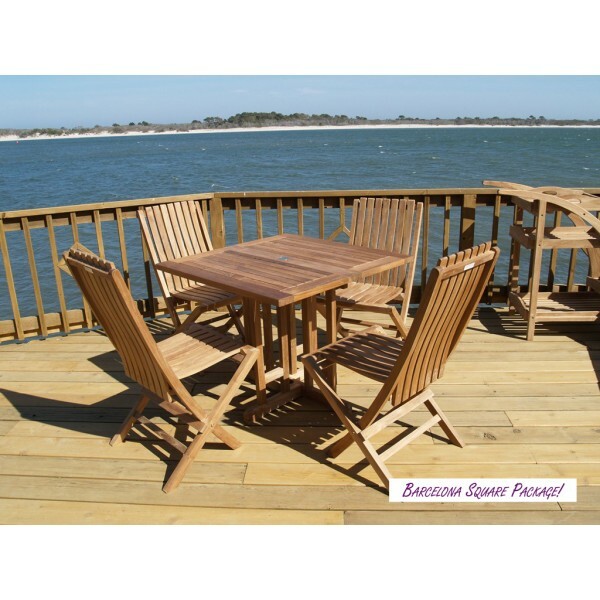 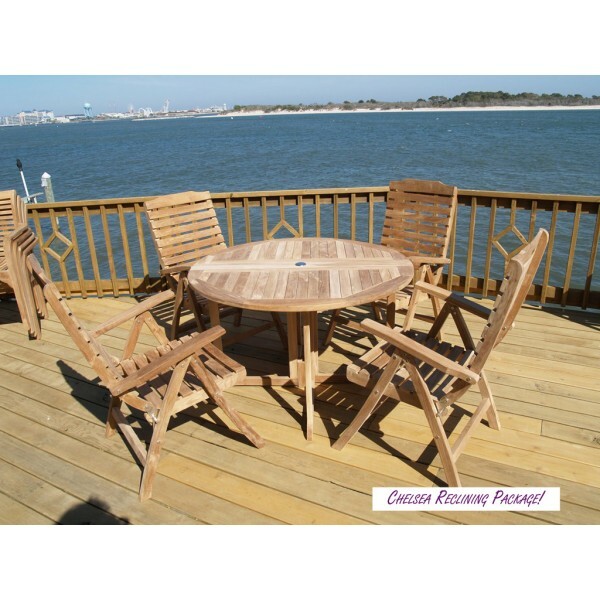 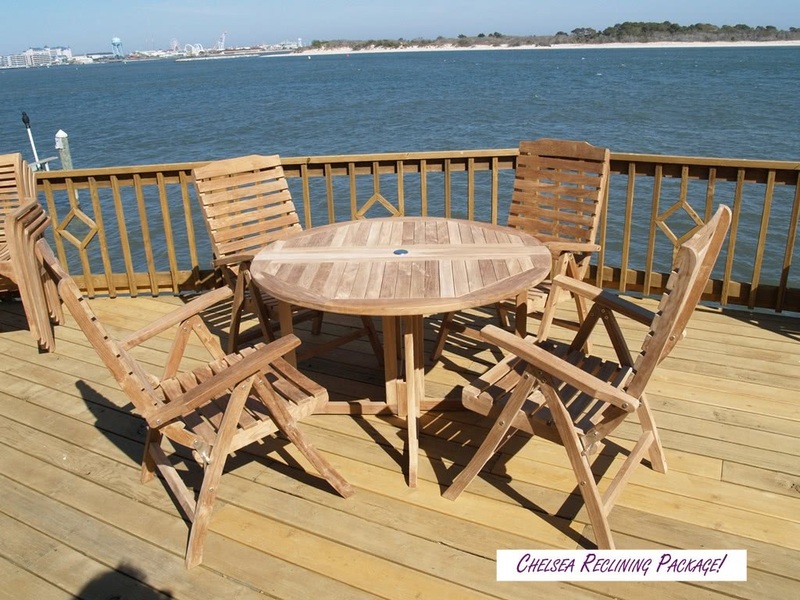 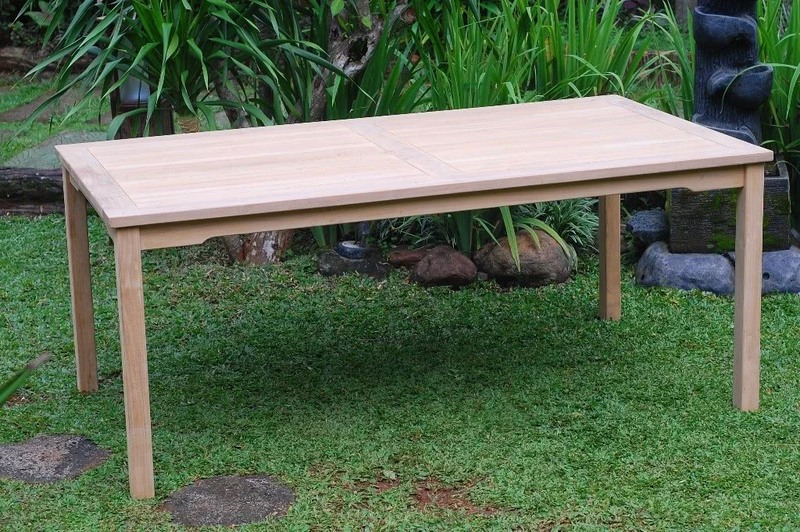 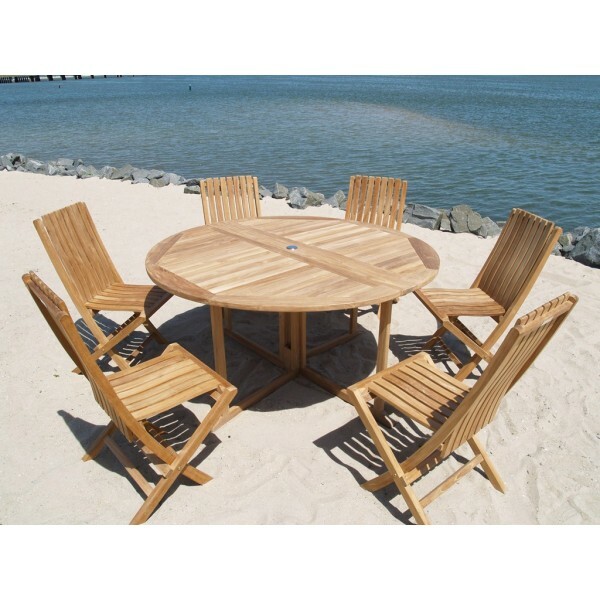 The Barcelona 35" Square Drop Leaf Folding Teak Table W/4 Casa Blanca Teak Stacking Chairs. 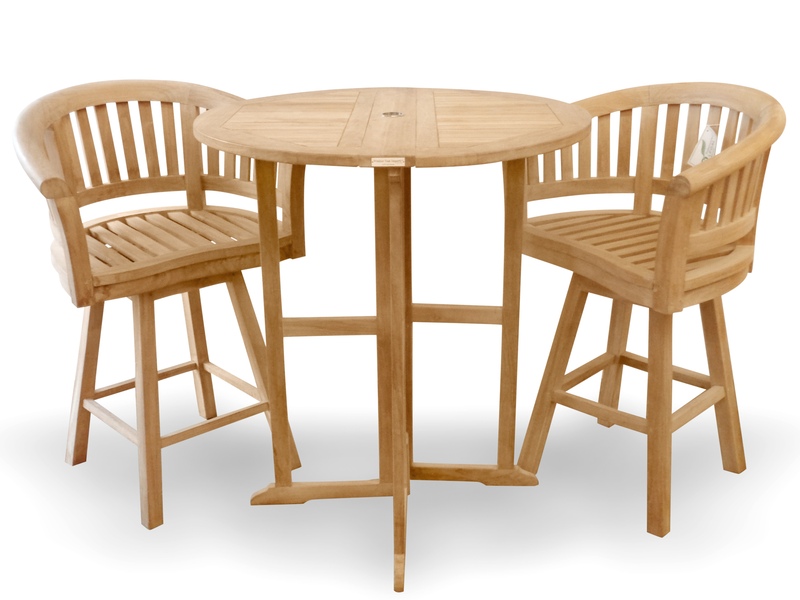 This is such a smart, versatile and space saving table and chairs set. 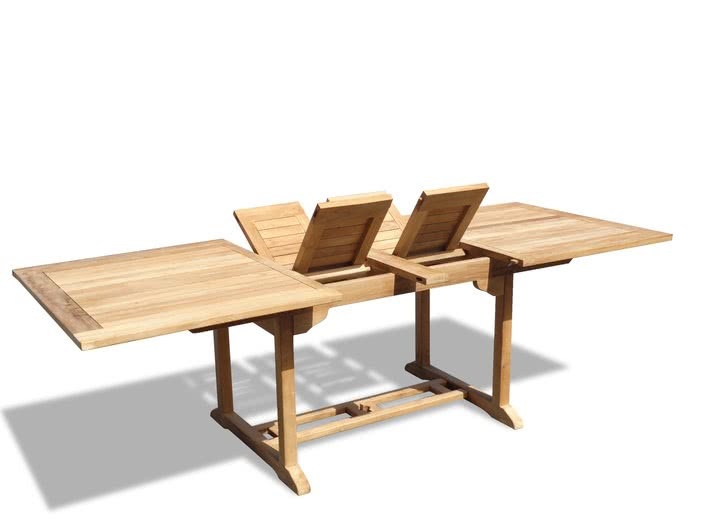 First, all our drop leaf folding tables can be use with one OR two leafs up...giving you 2 different size tables ..and when you fold down both leafs you can store the table in 8" of space. 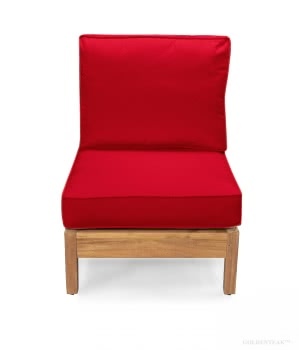 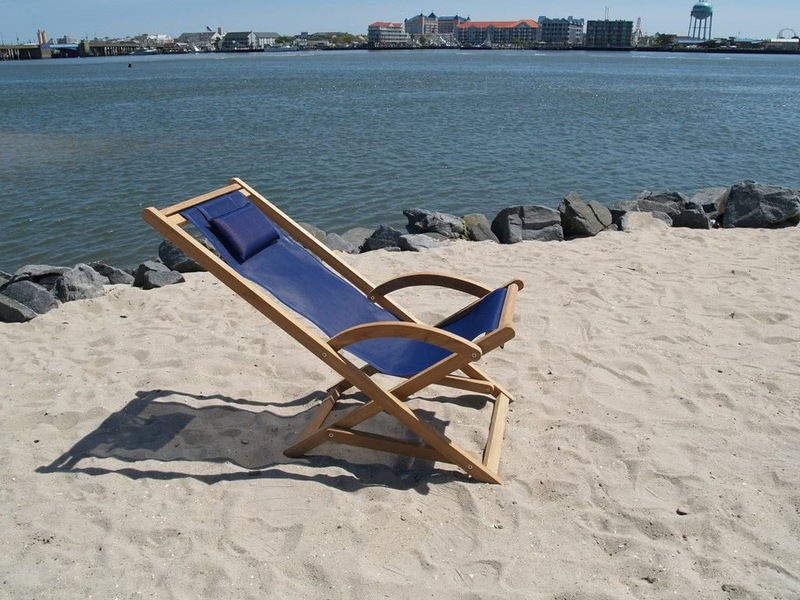 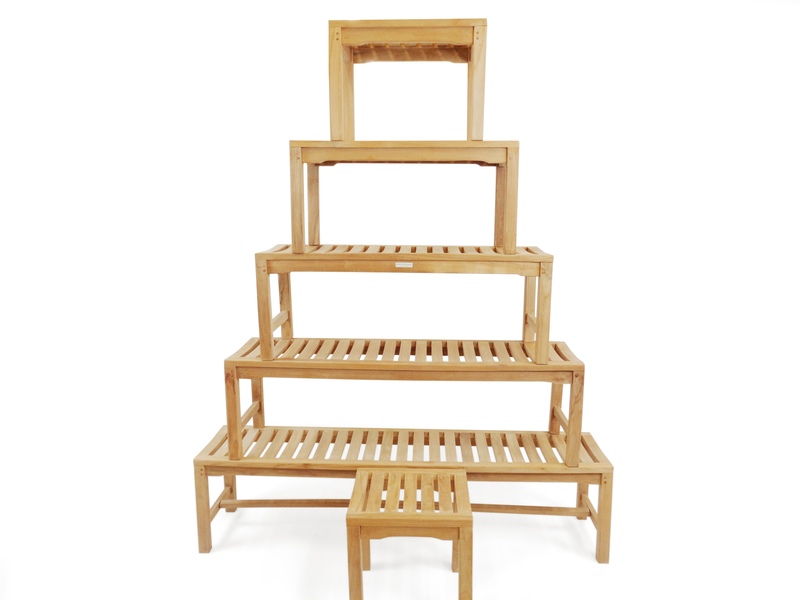 The Casa Blanca Stacking chairs are very comfortable and have that classy designer look.....and they STACK ! 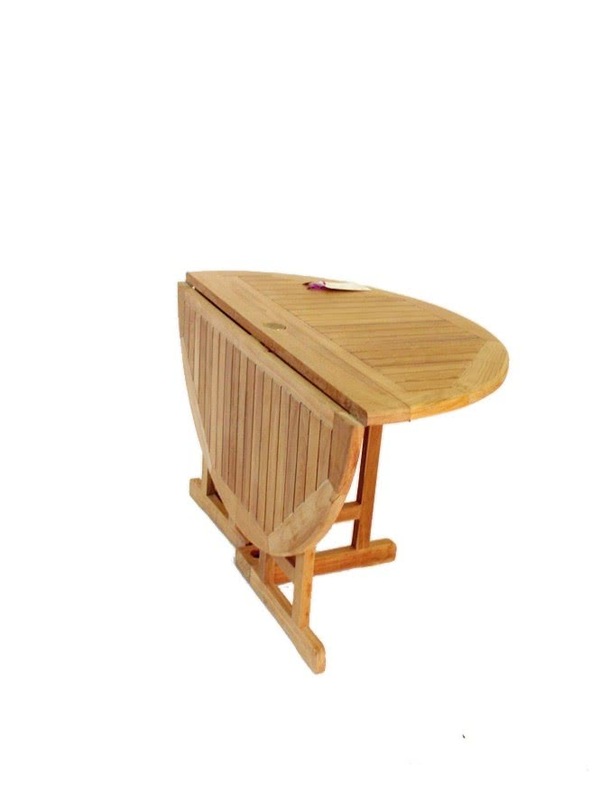 The table also comes with a cap covered umbrella hole and an umbrella base built in. 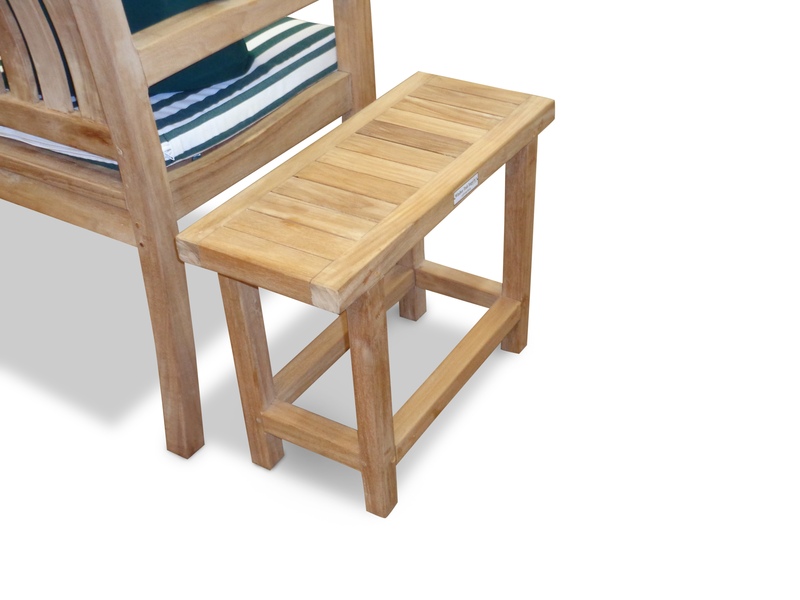 Comes assembled. 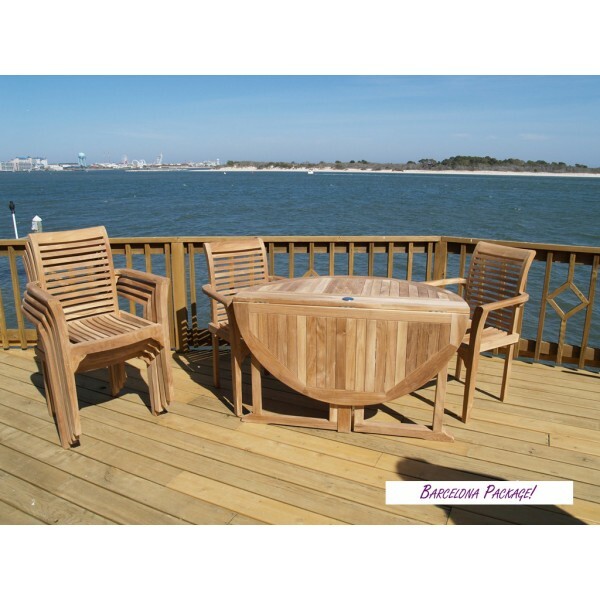 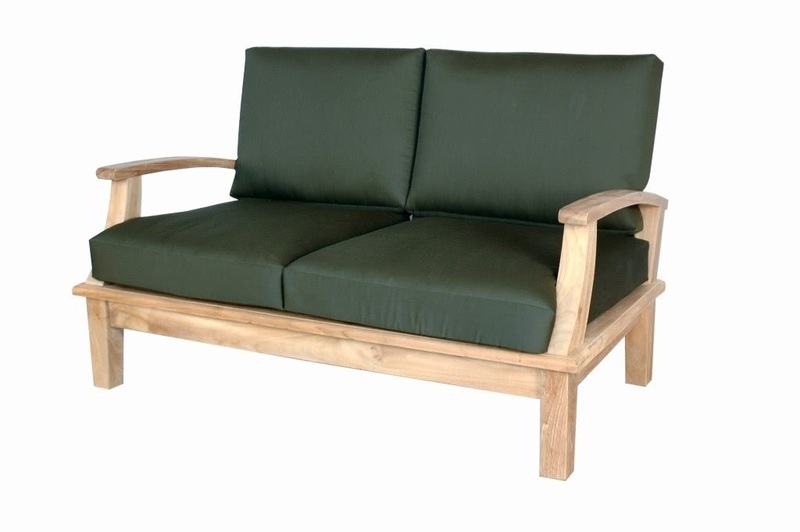 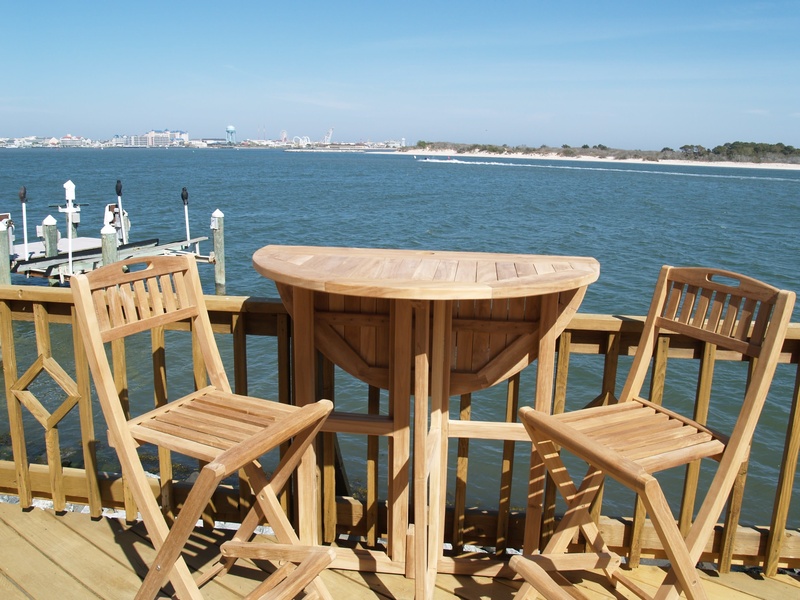 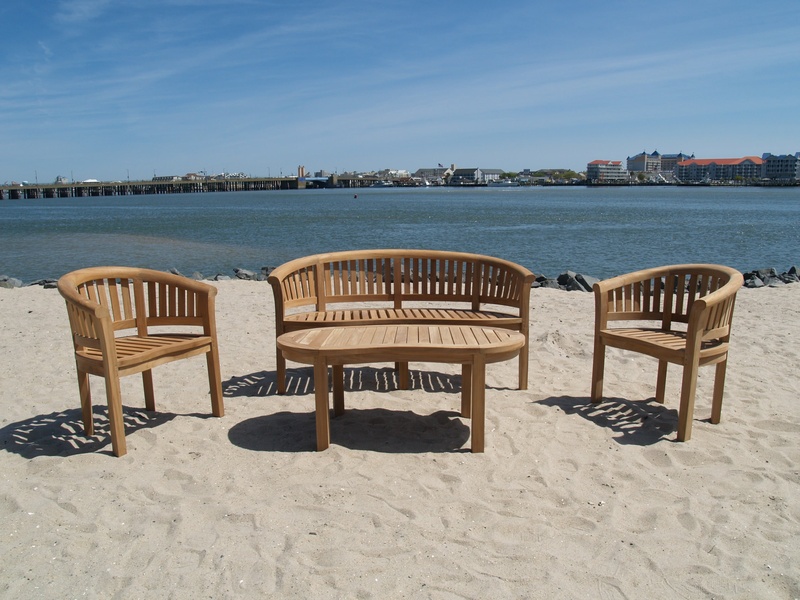 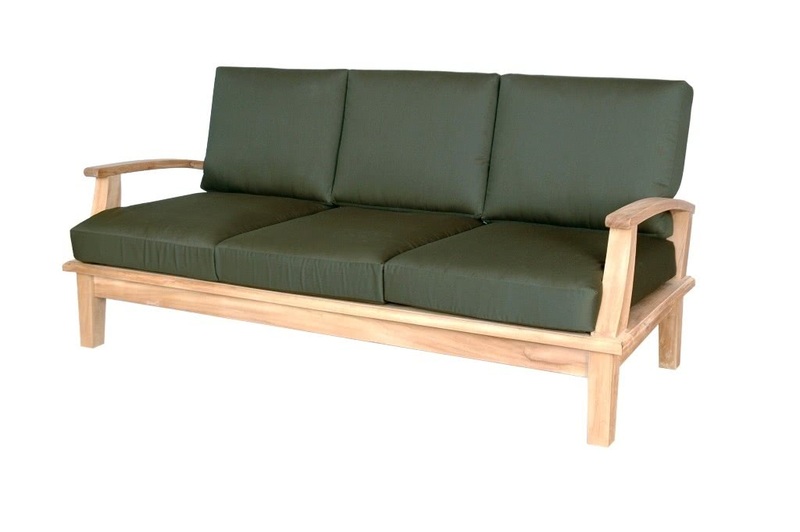 Quality Teak Packages made to Last a Lifetime! 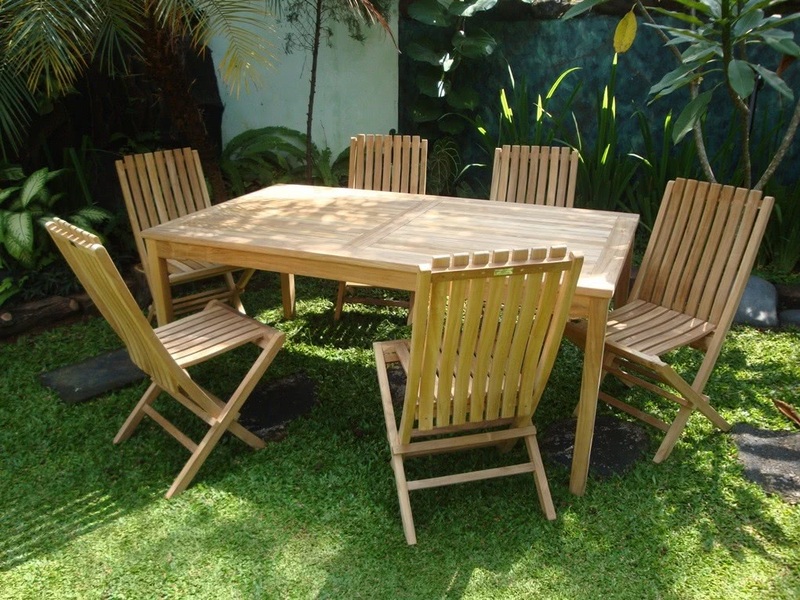 * All Grade A Heirloom Quality Teak, harvested after 45-50 years from sustainable Teak plantations. 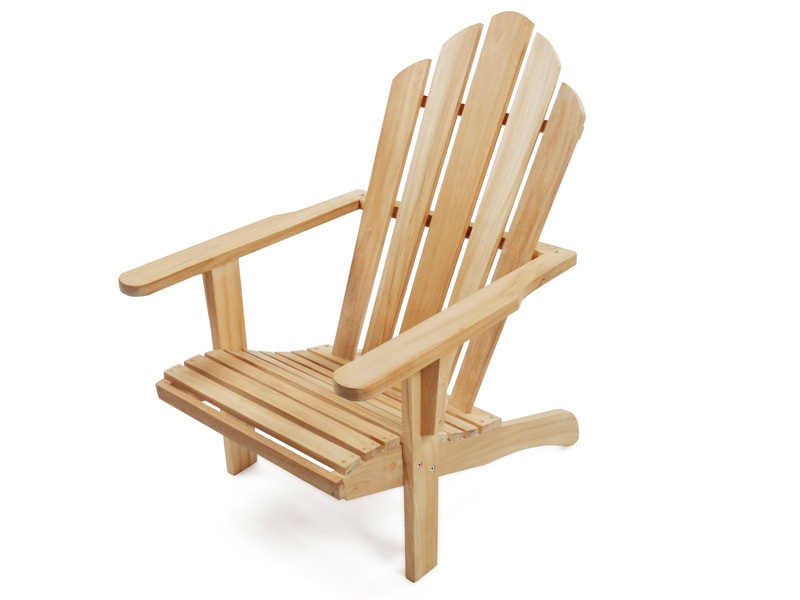 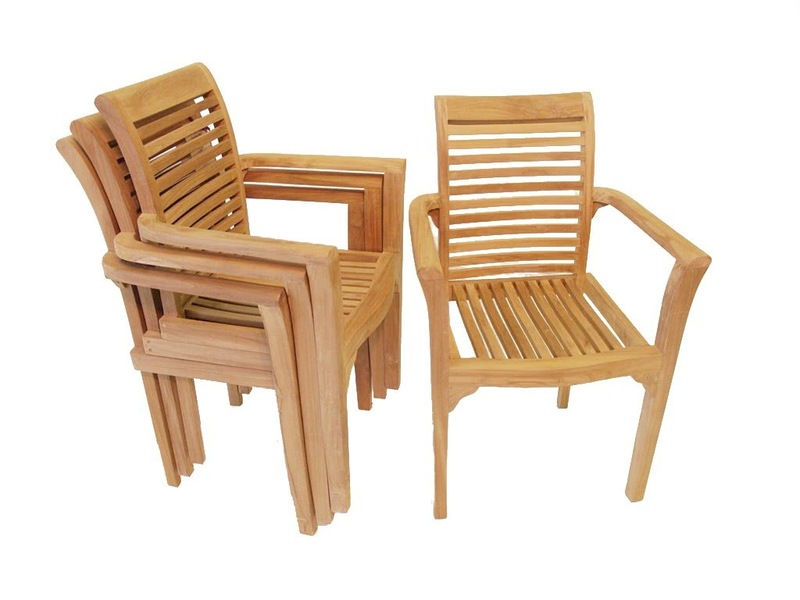 Only the hearts of the trees are used in Grade A Teak furniture. 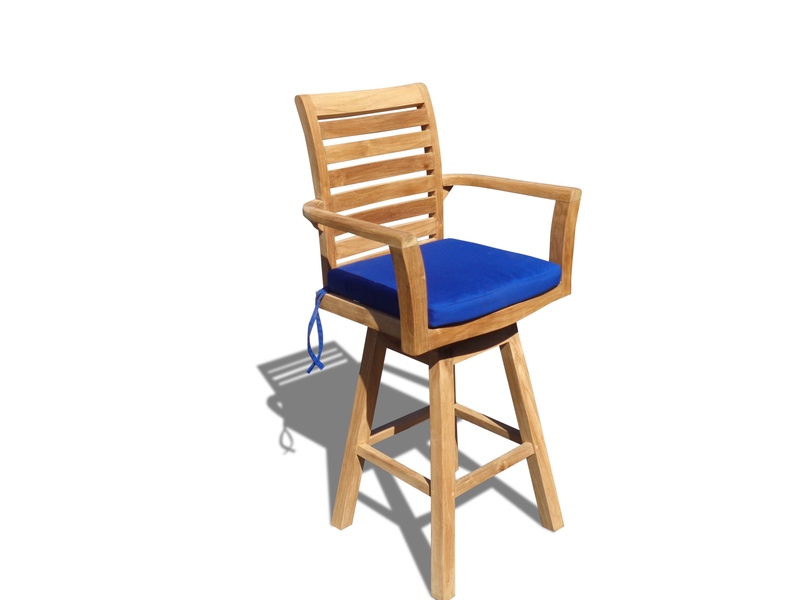 * Superior craftsmanship with machine-made mortise and tendon joints that provides maximum dependability along with marine grade stainless steel hardware. 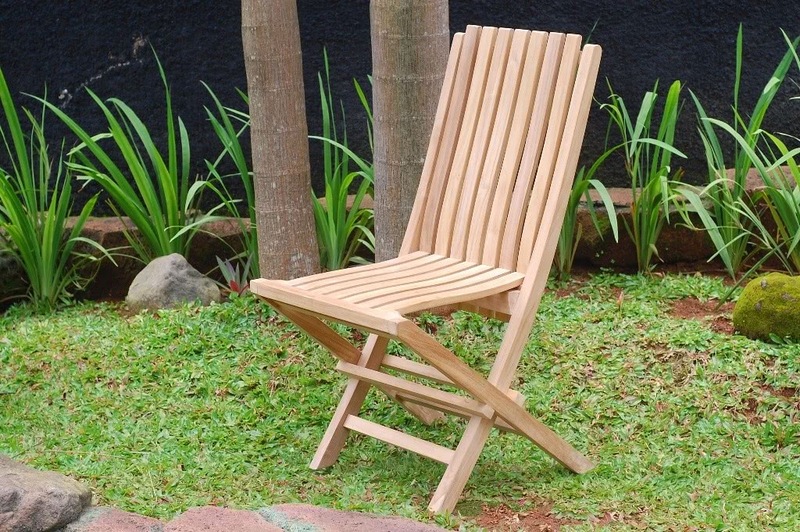 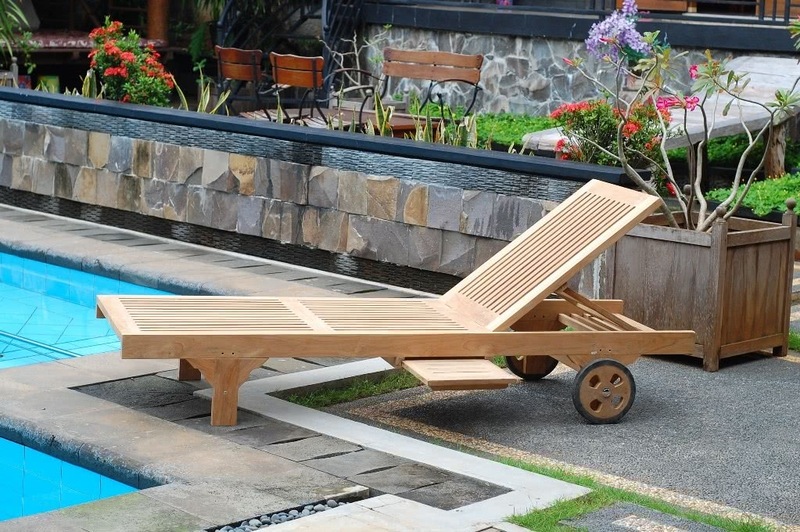 * Finally, our teak is Kiln-Dried before construction to an optima moisture content of 8-12%. 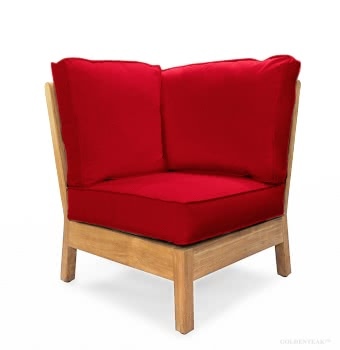 Not sun-dried or air-dried. 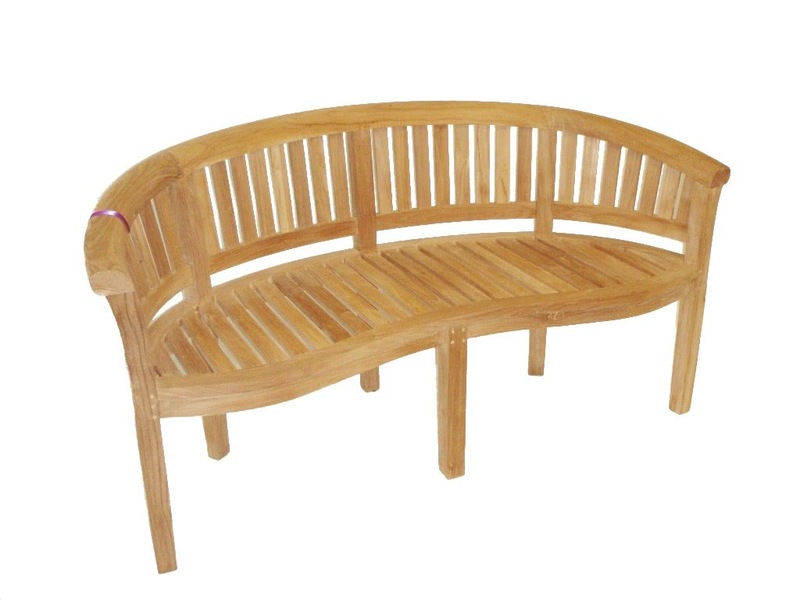 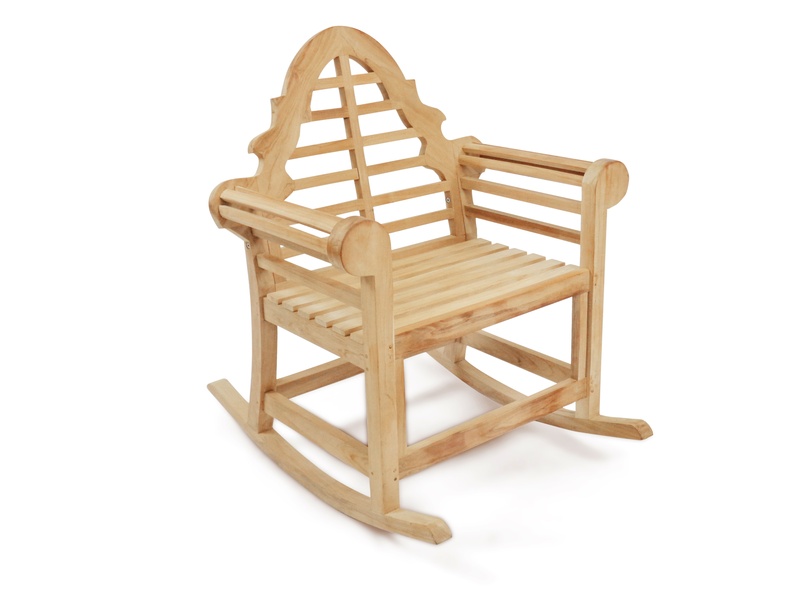 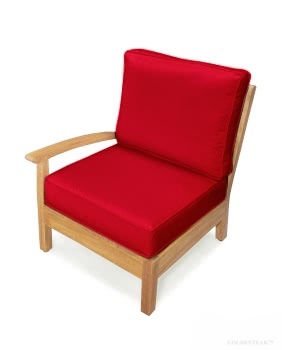 This allows for the furniture to dry to the core and reduces cracking, splitting, and warping for decades. 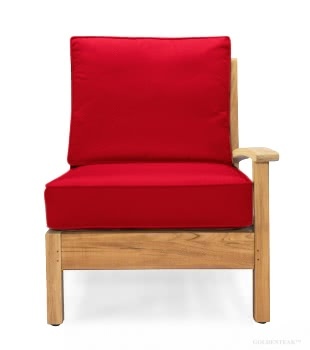 To Select Your Sunbrella Cushion.....go to CUSHIONS....Chairs.....and select the color/pattern of your choice and add it to your Shopping Cart.